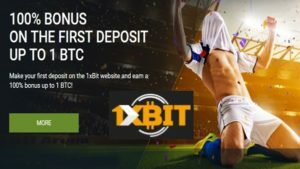 New members signing up with the excellent 1xBit casino can receive up to 1 BTC on your first deposit, thanks to their generous 100% match. 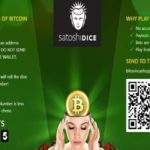 This gives you more bitcoins with which to play the 1xBit range of casino games, including video slots, table classics, and live-dealer experiences. 1xBit Casino also offers a very wide range of sports betting options. With the help of their betting platform operator Cascade, 1xBit opens incredible number of betting markets for both pre-match and in-play betting. 1xBit also offers a splendid range of live casinos, slot games and table games from 50+ casino software providers. Step 1: Create an account at 1xBit. You can register using your mobile or desktop device, which is a fast, simple process. Step 2: Follow the confirmation link sent to your email address. 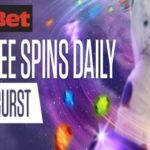 Step 4: You need to gamble 40 times your first deposit, and bonus points equivalent to 100% of your deposit will be credited to the bonus account. You have the choice to convert the bonus points into spendable funds in your main 1xBit casino account, or you can redeem them across the casino as you see fit! This is a terrific promotion to attract new members to 1xBit casino and help to get your time with the brand off to a strong start. 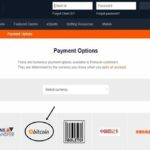 There are hundreds of games across the most popular categories to enjoy, and playing with bitcoin makes for fast, cheaper transactions. 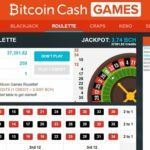 1xBit casino is a massive bitcoin casino catering to customers making online transactions via bitcoin, as well as dozens of other cryptocurrencies. All of these allow instant transactions, and there is no service charge on any of them. If you have yet to start gambling at online casinos with cryptocurrencies, 1xBit is a fantastic site to try! Register now to claim your 100% match on your first deposit.